Our ancestors from Africa, Europe and Asia have helped shape Jamaica, and make it the multifaceted mosaic of international customs and traditions it is today. Jamaica is a natural muse. Our land gleams in technicolor, as lofty Blue Mountains spill onto verdant plains, shimmering sands and turquoise seas. Our people are bold, brash and bubbly, hailing from around the globe to give a spectrum of skin tones, customs and traditions. Our rich history and culture provide a plethora of ideas, images and untold stories. Given all this, it’s no wonder Jamaicans pulse with a creative energy that overflows into whatever we do. It’s in the way we talk, walk, dance, dress and in the countless other nuances making up the fabric of our everyday lives. Our creativity, however, is perhaps most tangible in our visual art, which uses our country’s inspirational palette to give a physical reflection of everything we are, have been and will be. Jamaican paintings, sculpture and pottery are among the best in the Caribbean. What makes our art extraordinary is its diversity. Our artists work in a variety of styles, modes and forms, ranging from the academic to the self-taught or intuitive, the surrealist and symbolist to the impressionist and social-realist. Also they masterfully draw from, or blend, European, African and American influences. And they’ve learnt from Europe’s and America’s classical and abstract forms, while mimicking the techniques, colours and symbols found in African art. All together, they’ve collected and merged these influences to create the extremely varied, unique Jamaican school. 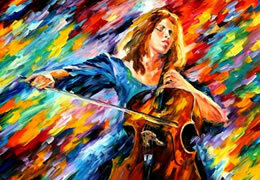 Over the years, this relatively small country has produced a seemingly infinite number of outstanding artists. Some of our most famous are Edna Manley, renowned sculptor and painter; Albert Huie, our foremost landscape painter; Cecil Baugh, master potter; Kapo, the most prominent of our self-taught artists and Alvin Marriot, realist sculptor. The list is impressive and endless, growing each day as new artists burst onto the Jamaican art scene. Fine works of art are omnipresent. Everywhere you turn - from traditional galleries and museums to surprisingly unconventional spots like roadside displays or inner-city walls - you’ll find pieces of note. Famous collections with soulful works, like David Pottinger’s paintings and William Joseph’s wood sculptures, are often housed near to public displays such as Kay Sullivan’s bronze figures honouring Sam Sharpe, and barbed-wire fences laden with amateur paintings for sale. When visiting Jamaica, take a tour of our colourful art arena. Browse the numerous galleries, showcasing our most treasured pieces, or look out for the newest talents as you wander the streets. You too, may be, inspired. There is a well-known adage asserting proudly that the heart of the Jamaican people has never ceased to dance. It’s true - dancing is an integral part of everyday Jamaican life. We dance everywhere and for all occasions - for worship, cultural celebrations, formal events and social gatherings. Once there's music, hips gyrate, hands start to clap, and everyone - old and young alike – finds themselves moving to the infectious rhythmic beat. Shaped by a mixture of European and African influences, Jamaican dance forms have evolved. From the "jonkonnu" steps practiced by slaves at Christmas time, to the post-Emancipation "bruckins", the liberating "ska" of a newly independent nation to the vibrant, sometimes challenging choreography of the dancehall – our heritage in dance reflects the evolution of our cultural identity. We have "Jamaicanised" traditional European dances, such as maypole and quadrille, performing them to the sounds of our homegrown "mento" music. Similarly, dances such as the "gerreh", the "dinki-mini" and "ettu" reflect our African heritage, but are also satirical commentaries on plantation life. These dances form the backbone of modern Jamaican dance forms. Local clubs and HQs, reverberating with pounding beats of Dancehall music, are breeding grounds for new dance moves. Jamaicans and visitors alike are barely able to keep track of the many new dances that surface at a rapid pace. You can bet that almost every month there will be a new style, no less exciting, entertaining or exhilarating than the previous. From the dancehall to the stage, hip street styles give way to elaborate contortions and clever choreography. The Edna Manley School of Dance, the National Dance Theatre Company and other recognised groups also keep Jamaica's dance tradition alive with regular shows. The themes of these performances sometimes explore the issues facing the nation, or reflect the artistic expressions of the performers with well-rehearsed and synchronised formations. These Jamaican ensembles have received both local and international acclaim, exposing our dance forms to our people and the world. Dancing is a vital part of the Jamaican lifestyle. Whether as a means of enjoyment, entertainment or expression, the ability to move the body freely is essential to our identity as a people. To experience Jamaica is to dance with us. Thumping, infectious and passionate sounds are the trademarks of Reggae, Jamaica's most internationally recognised music and the heartbeat of our people. Although this is Jamaica’s music, its origins are in the villages of Africa where our forefathers mourned the passing of an ancestor, heralded the birth of a son or celebrated the end of a harvest with song and dance. Jamaica's traditional music is heavy with the substance of our collective experiences, struggles for personal freedom and independent nationhood. Music has been a tool for rebellion and for communication with each other, nature and the Divine. It also provides a lyrical voice for our social and political commentary. The fusion of our African and European heritage has produced several forms of music that still thrive in many modern communities. 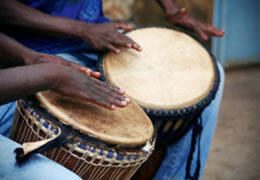 These folk forms fall into three main groups – tunes for work and entertainment, religious melodies and dance music. Each group has its own harmony, but all share a commonality in the types of accompaniments used, primarily the drum and small wind and string instruments. Work songs have their roots in the slavery period. They were used to pass messages and gossip, but also to lighten the load of daily chores. Often a "singer man" led workgroups by singing a line, which the others repeated. Many slaves were unable to read, so this call-and-response scenario also characterised community gatherings such as wakes and funerals. Games are an integral part of Jamaican life, and it is common to see young children at play engaging in these singing games. Usually, they stand in a ring and accompany their singing with clapping. The energetic nature of the games makes instruments difficult to use, so they are often sung a cappella. The eclectic mix of European- and African-influenced religious groups and their syncretistic offshoots results in a multitude of ceremonies and public expressions of faith. Among the most popular forms are Kumina, Pocomania and Rastafari. Rasta music is characterised by drumming and chanting; the Revivalist groups, to which Kumina and Pocomania belong, also use drums, often suspended from the hips or upper arms, and offset by rattling tambourines and shakers. The sessions usually involve all-night vigils with singing, accompanied by musical instruments, thumping and heavy rhythmic groaning. Our traditional dance music forms, Jonkonnu, Bruckins, Dinki Mini, Quadrille and Mento, are used to celebrate special events and holidays. In this group, the accompanying dances and colourful costumes or regalia are as important as the actual music, providing a feast for the eyes as well as the ears. The essential appetiser, Stamp an’ Go is an old favourite, delicately combining salted codfish in a tasty spiced dough. Soak codfish, preferably overnight. Drain, rinse under cold water, flake the fish, making sure to remove fish bones. Chop finely, tomatoes, onion, garlic, escallion and pepper. Sauté in 2 tbsp oil. Drain off oil and cool. Add seasoning to raw codfish. Set aside. Add baking powder to flour. Add codfish to flour. Add enough water to make a medium batter. Fry by tablespoon in about ½ inch of oil or deep fat until golden brown. Drain on absorbent paper. Serve hot. Yields 24 servings. This Jamaican way of cooking has invaded restaurants and cafés worldwide, adding a hint of spice to cocktail parties and backyard cookouts alike. Just about any meat can be “jerked”, but the real secret to the flavourful taste is the marinade, a truly Jamaican blend of spices and seasonings. Of course, a homemade jerk marinade is best, but today there are several commendable brands of jerk seasoning that do just fine. Finely chop onions, peppers, and escallion. Blend all ingredients (preferably in a blender or food processor), pour mixture on chicken, pork, fish or beef and let marinate overnight (or at least for two hours). Grill meat slowly over hot coals until cooked. Yields 12 servings. This delicious tart is a local favourite. It has a flaky crust with a sweet filling made from grated coconut. Preheat oven to 350 degrees Fahrenheit. Sift flour and salt for pastry shells. Add butter and shortening and cut in flour. Pour in ice water to form a dough. With a pastry blender, two knives or fingers, blend until mixture resembles coarse crumbs. With hands, shape into a ball and wrap on foil, waxed paper or plastic. Allow to rest in refrigerator for 30 minutes (not the freezer). Divide pastry into 8 pieces. With hands roll each piece of pastry into a ball, then use a rolling pin to roll balls flat to make a 3-inch circle ¼ inch thick. Pinch the edges to form a ridge to hold in coconut and sugar mixture. Put on greased tin sheets and partly bake shell. To make filling: Mix coconut, sugar, nutmeg and water and cook over a low flame for about 20 minutes. Add butter. Fill shells with coconut mixture and bake for a further 15–20 minutes. Yields 8. For centuries, rum, one of our most famous products, has enticed and intoxicated connoisseurs worldwide. Our basic Jamaica rum punch is a light, refreshing drink, sure to kick-start any party. Here is a small jingle that helps to make its recipe impossible to forget. A “part” or measure may be any quantity, but it’s important to remember to use the same ratio of one to another. For a delightful island treat, add a few pimento berries and garnish with a slice of pineapple or lemon. Enjoy! Religion is omnipresent in Jamaica – everywhere you go it permeates academic debates, ceremonies, business and political life. We are a predominantly Christian country, with large groups of Baptists, Anglicans and Roman Catholics. Other religions, such as Islam and Judaism are also represented on a small scale, adding to the diversity of our nation's heritage. 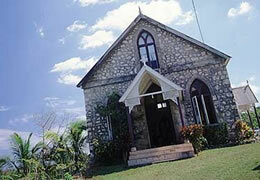 The Guinness Book of Records documents Jamaica as having the most churches per square mile. We have wide and varied religious beliefs; religion is the moral fibre of our nation, and most Jamaicans hold fast to something - a belief in a higher power and in man's mortality. Many Jamaicans spend a large part of their formative years in church, squeezed into pews with parents, siblings and grandparents, infused with (at the very least) a healthy respect for faith. On Sunday mornings, you can see the influence of various aspects of our religious heritage. At meetings in churches still European in character, you will find men dressed in felt hats, starched shirts and dark suits, their polished shoes reflecting the glint of the morning sun. Women adorn themselves in colourful dresses, their trims and frills showcasing the handiwork of the local seamstresses. In the rural areas, the influence of our African heritage is noticeably present in the Revival sects. Members dressed in white robes, heads wrapped in blue, red, white or green, chant and move to the rhythm of drums and tambourines. The music is almost hypnotic, inducing hips to gyrate to the steady beat, an individual form of self-expression with minds attuned to sounds only each can hear. Our storied past and rich cultural medley has also led to the rise of such religious forms as Rastafari and Pocomania (Pukkumina), largely viewed in traditional religious circles as vehicles of rebellion in Colonial times, and against the status quo. Pocomania "bands" gravitate toward the holy or "sealed" ground denoted by bamboo poles topped with flags, to offer libations to the deities under the leadership of the "Shepherd" or "Mother". Elaborate ceremonies and feasts, consisting of tables or "altars" laden with fruit, sweet breads, ground provisions and coloured candles, are often held in thanksgiving or as pleas for blessings in the form of protection, healing or renewal. 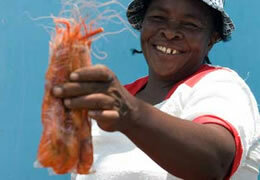 Across the island, there are communities of Rastafarians. Such brethren may be identified by their flowing ceremonial robes, turbans, tams and staffs trimmed with the red, green and gold of the Ethiopian flag. These colours, an outward expression of their identity, are worn in respect for the motherland. Rastas drum and chant to renew their connection with Ras Tafari (Emperor Haile Selassie of Ethiopia), the poignant message of repatriation always ripe on their lips. While many pure forms of major religions still exist on the island, Jamaica is also home to a fusion of African and European influences. Visitors are often amazed to find the staid Methodist Church only steps away from the Church of Jesus Christ of Nazareth of the First Born of the Virgin Mary and in close proximity to the African Methodist Episcopal Church, all using the same Bible but with differing interpretations and physical manifestations of worship in the ceremonies. While you are here, worship with us. Whether you are Christian, Muslim, Jewish or Rasta, whatever your religious conviction, there is a place for you to celebrate here in Jamaica. 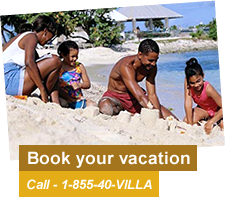 For centuries, Jamaica has welcomed settlers from all around the world. This small island has played host to the Amerindians who discovered it, to Europeans who fought to own it, to Africans forced to call it home, and to Asians, Indians and Middle Easterners searching for a better life. 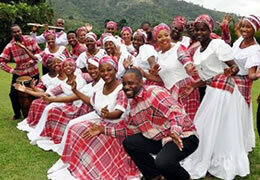 Each group carried with it a story and tradition, throwing everything into Jamaica's melting pot. After centuries of brewing, all have blended together to give the island its rich history and heritage - an international smorgasbord of legends, cultures and customs, all displayed right here against the background of Jamaica’s beautiful mountains and valleys. Jamaica’s first inhabitants were the Tainos, an Arawak-speaking people, believed to be originally from South America. The Tainos called the island "Xaymaca" meaning "land of wood and water". These peaceful, seafaring people greeted Columbus when he first visited the island in 1494. Columbus described Jamaica as "the fairest isle mine eyes ever beheld …" His arrival marked the beginning of nearly 500 years of European occupation and governance. Initially, the Spanish settled near St Ann's Bay at "Sevilla Nueva" (New Seville), but eventually moved to "Villa de la Vega" (the city on the plains), now called "Spanish Town". Their new city swiftly flourished, becoming the island's centre of activity. 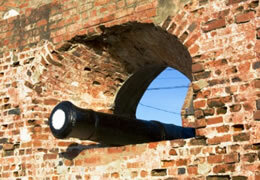 During the 1650s, the British captured Jamaica from the Spanish. In a last-ditch attempt at defiance, the Spanish settlers freed and armed their slaves, who sought refuge in the island’s interior. The Maroons, as these ex-slaves came to be called, continuously defied the island's new colonisers. The only army ever to defeat the mighty British, the Maroons still exist in modern-day Jamaica. Under British rule, Jamaica became a busy and wealthy colony. By the 18th century, the island was "the jewel of the British crown", producing 22 percent of the world's sugar on large, lucrative plantations. This success came at great cost to the African people, thousands of whom were forcefully brought to the New World as slaves. As a result of the cruel and oppressive slavery system, Jamaica had more revolts than other West Indian islands. Reports of frequent slave uprisings and other forms of resistance, coupled with brutal planter-militia reprisals, troubled the European conscience. In time, anti-slavery sentiments grew strong in Europe, culminating in the Emancipation Act of 1834. The Act made provision for all slaves under the age of six to gain immediate freedom. All others were to serve a period of apprenticeship for four to six years. The apprenticeship period worked well in theory. In practice, however, it was little better than slavery. Planters continued to abuse their apprentices, and withheld guaranteed provisions and wages. Subsequently, full emancipation was granted in 1838, two years earlier than planned. Eager to sever connections with the symbol of their enslavement, many labourers left the plantation, settling across the island. To provide an alternative, affordable workforce, the planters recruited indentured workers from China and India. After their period of indenture, many Chinese and Indians stayed on the island, adding to Jamaica’s eclectic mix of cultures. After 1838, sugar productivity and profitability declined, forcing Jamaica to diversify its economy. Although crops such as bananas and coffee provided sound substitutes, other industries eventually became the driving force of Jamaica’s economy, outgrowing agricultural exports. Like the changing economy, Jamaican politics also transformed with the end of slavery. In 1866, the island implemented the crown colony system of government. Under this new system promises of education, health care and other social reforms gave hope to a newly freed generation. But decades later, social disappointment festered, leading to a spate of incidents of civil unrest, and heralding the birth of the trade union movement. Out of these disturbances arose Jamaica’s foremost labour organisations and political parties. Norman Manley's People's National Party and Alexander Bustamante's Jamaica Labour Party would go on to dominate Jamaica's political scene into the 21st century. Two important and significant changes – universal adult suffrage in 1944 and independence from Britain in 1962 - set the stage for a people once conquered, controlled and constrained, to become themselves the architects of a new nation.